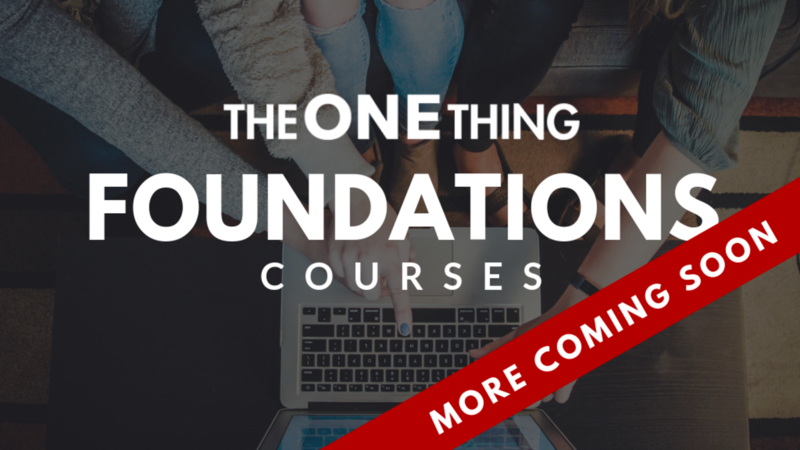 Want first access to new Foundations Courses when they are released? You will be the first to know when this course is available! In the meantime, we'd like to share the current suite of The ONE Thing Basics for FREE! Explore the basic principles of The ONE Thing in 15 minutes or less.